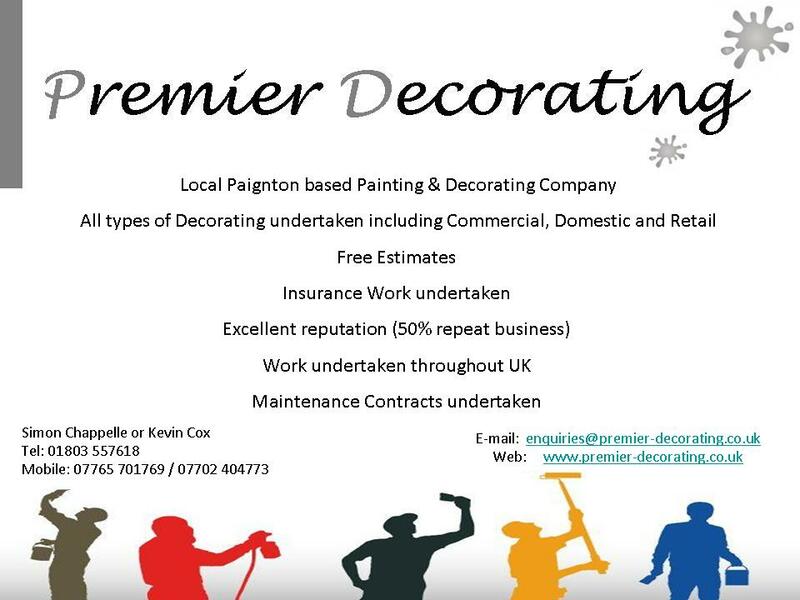 We are a local Painting & Decorating company based in Paignton. Working in the Commercial, Domestic & Retail sectors, all our work is guaranteed and of a high standard. Interior & Exterior works, together with radiator enamelling, all types of woodwork and wallpapering undertaken. All insurance work welcome. Free estimates.